As the price of higher education continues to rise, paying tuition is increasingly difficult, especially for students from low-income backgrounds. Each year in the United States, an estimated three million college students drop out due to a small financial crisis under $1,000, such as a car repair. 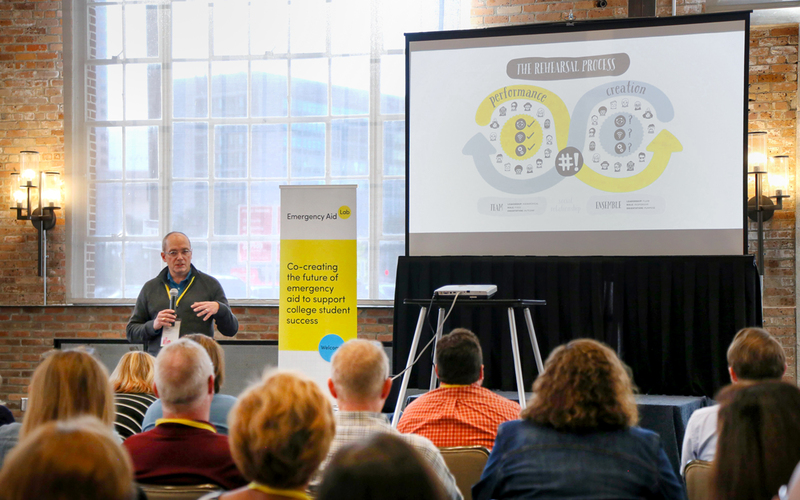 To change this, Reos Partners convened the Emergency Aid Lab, supported by the Bill & Melinda Gates Foundation. 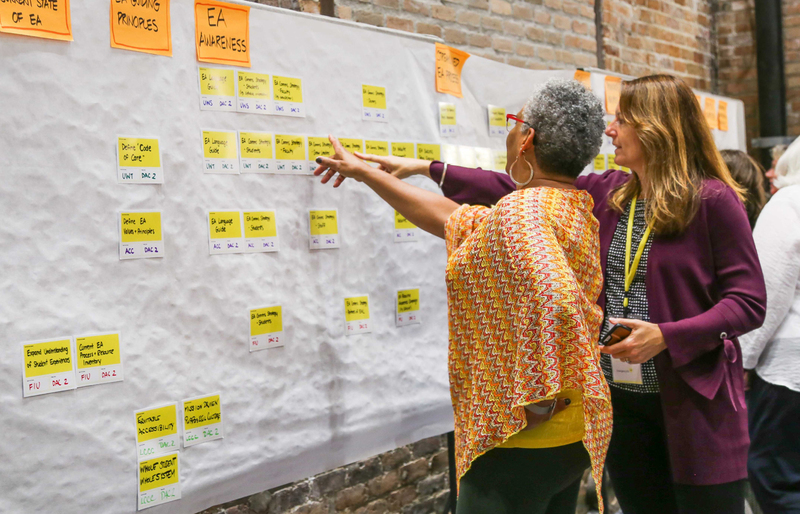 Over a two-year process, Lab participants – administrators, educators, counselors, and students – are collaborating to experiment with and refine multiple initiatives. 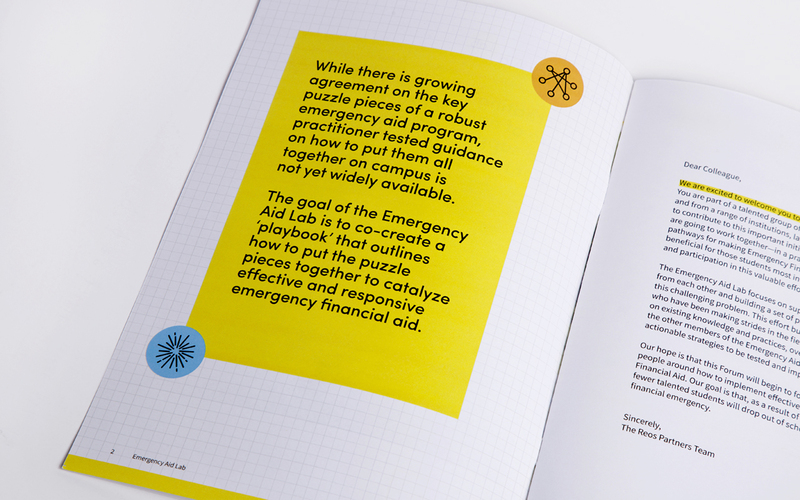 The end product will be a “playbook” of strategies and tools for deploying effective emergency aid on any campus. 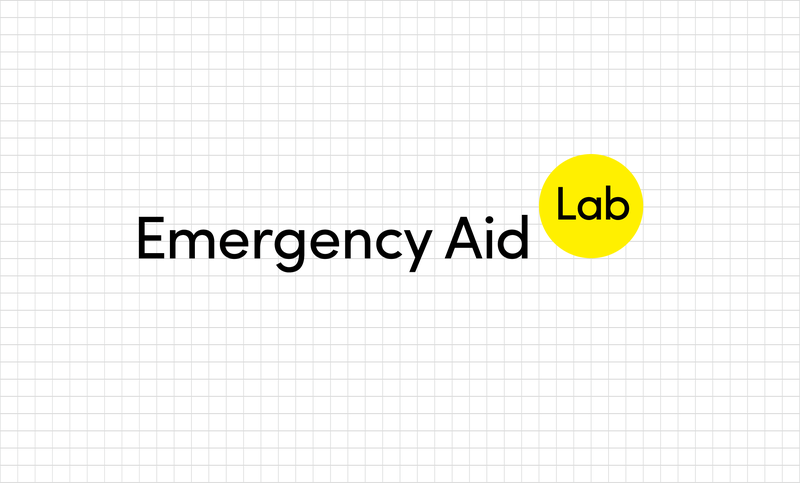 We designed the Emergency Aid Lab’s visual identity system inspired by the tactile experience of co-creation. 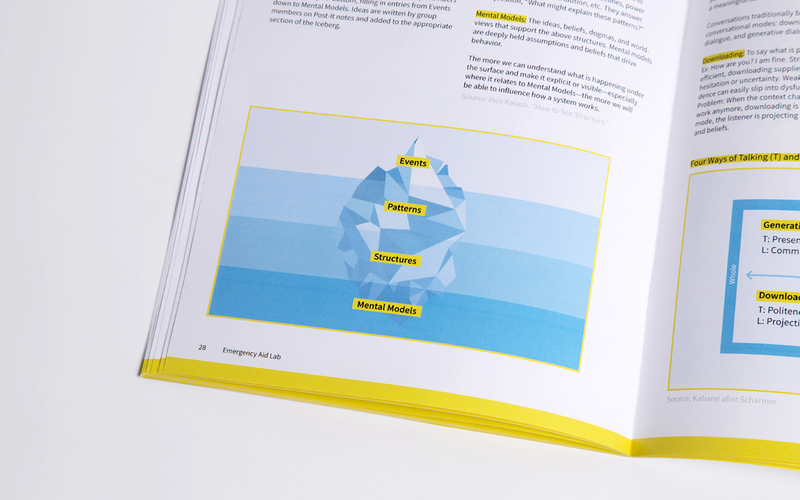 The identity revolves around grid paper, yellow highlighter strokes, and stickers that represent the processes used for the Lab, such as prototyping and iteration. 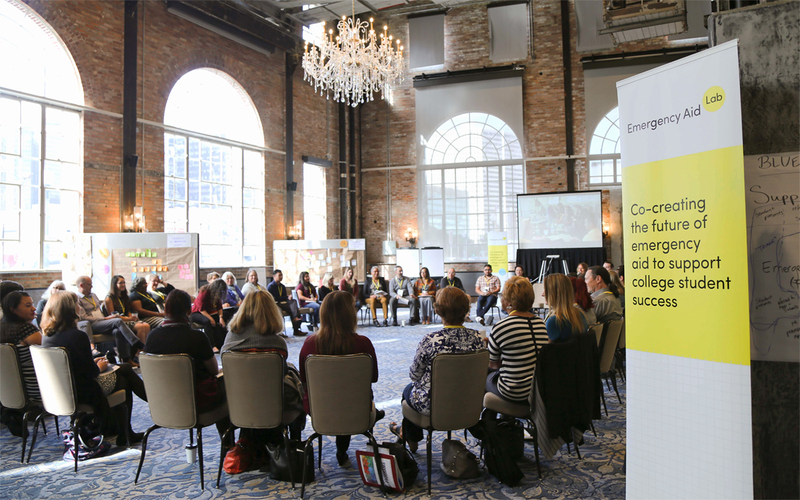 The system balances institutional credibility with a sense of co-ownership among participants. 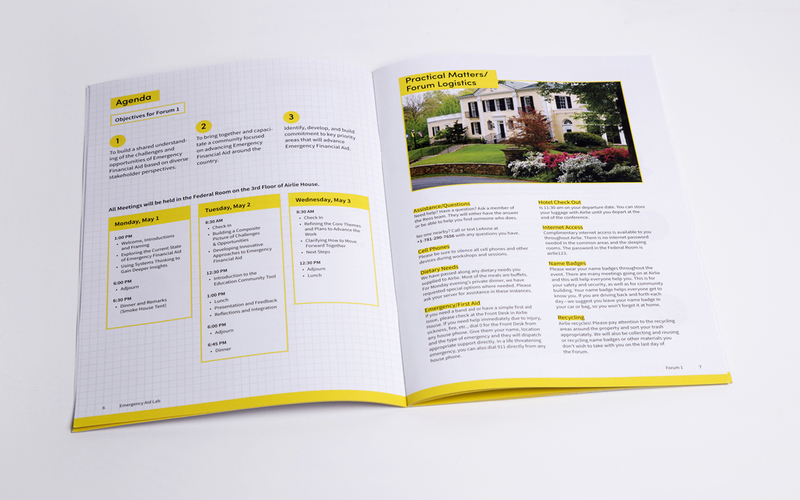 The identity has been applied to booklets, presentations, and workshop materials where Lab participants gathered in Virginia, Louisiana, and New Mexico. 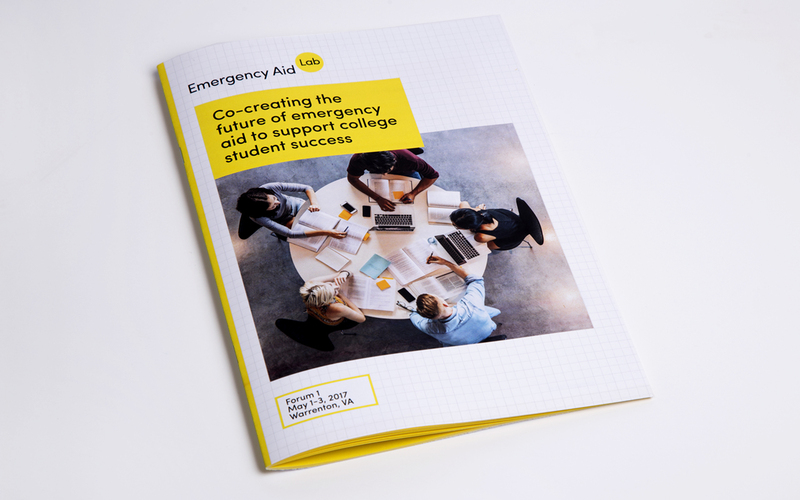 It has harnessed collective energy by giving diverse stakeholders something visible to rally around as they help vulnerable students to bridge unexpected financial crises and ultimately, to graduate.